Recently fellow writer, Nicki Gilbert, asked me to join her on a global Blog Hop. I'm kind of athletic, I thought. I can do that. So here I am, happy to connect with others who hunt words and string them together, swallow or spit, maybe on a rough day choke on a few. Connections like these make up for all the time spent alone in our heads, since writing is less about isolation than it is connection, covering unfathomable distances to lodge in the hearts of readers we may never meet.I don't find writing easy. Sometimes it flows and often it stalls. I wish I'd studied forensic anthropology or worked for NASA, but I'm rubbish at math and science. I have a love/hate thing going on with writing because often I feel it's so much bigger than I am. I grapple with impostor syndrome, and whenever I sit down at my laptop, ask the question, Can I do this? Well, whether I can or not, I do, and honestly, there's nothing else that makes me happier, or more miserable, than writing. What's life without a bit of angst and drama? What am I working on? Creative confidence! And moving on from publishing a memoir, TIN CAN SHRAPNEL, which I wrote in response to an outbreak of xenophobic violence in South Africa in 2008. I entered my novel GRAVE OF HUMMINGBIRDS in ABNA 2014 and am through to the quarterfinals, which has talked me off the writing cliff for the next six weeks. (Jumping in here to invite, nay request you to review the excerpt, which is a free download on Amazon here.) It's hard to leave both these books behind and move on. I keep thinking I should be doing more to promote them because it's no longer enough to write, but honestly, diving into another project is my best option. So I'm working on a new novel, a thriller, and planning to edit my young adult fantasy in which Shakespeare returns as an English Mastiff, collaborating with a young ballerina to change the endings to some of his tragedies. How does my writing differ from others of its genre? I venture into gothic territory because I love dark, rich novels that are sensually vivid. I guess my work departs from a lot of the traditional tropes of genre fiction, but it does retain some characteristics of the mystery/thriller. I resist classification and work towards having genre serve me, rather than the other way round. Like many of us, I'm finding ways to stay afloat in a choppy publishing sea, hoping to parasail rather than drown. Or maybe submersion would be better, because then I'd get to scuba dive and swim with Great White Sharks. Why do I write what I do? Often there'll be an issue lurking like injustice or cruelty. I'm intrigued by the distortions of power and the way cultures connect and diverge, conflict and clash. I wrote my memoir because I wanted to give victims of the violence a voice and platform to express what had happened to them, make their stories and history, which have largely been ignored, indelible. At the center of my novel is a Peruvian festival that seemed cruel when I learned of it. It haunted me and led to months, years of research, manifesting in GRAVE OF HUMMINGBIRDS, also my MFA thesis. I need to feel a spark inside or a driving force, often initiated by a compelling character, one that demands attention and who's assertive about his or her realization. When I start to care about a character's journey and believe they'll go the distance with me, I know I'm onto something. How does my writing process work? Sometimes a story will scratch at my mind, and I'll toy with it for a while, see whether it holds on or falls away. I wrestle with the internet's distractions when I sit down with my laptop, and freelance editing takes up most of my time. At present, I have to pin down writing moments wherever and whenever I can. I carry a diary with me so I don't miss random bursts of inspiration. I try not to edit as I write, just get the first draft down, but more often than not the editing happens as I go. I work with a vague outline that makes provision for characters to take some control, because I need the process to be organic and dynamic, and it can only be that if I'm sometimes less than sure where I'm headed. Working this way allows for surprises and twists, many of which surprise me too. South African by chance and Californian by choice, Nicki Gilbert lives in the Bay Area with her husband, four kids and an aging dachshund. With dreams of reporting live on CNN, she majored in Drama and Journalism at Rhodes University in South Africa, met a boy, married him and moved almost 180 degrees west to San Francisco, to live her life as a wife, marketer, event coordinator, non-profit board member, and eventually stay-at-home mom. There was very little writing and even less acting during those years. Last year Nicki started blogging for Times of Israel, and now writes on her own website Red Boots – from dancing to walking and everything in between, and beyond. As a reluctant yet full-time, barely-at-home mom, writer, avid reader, country music lover and wannabe surf diva, she writes to keep perspective about it all. With tears, humor, skepticism, love, pain and truth. Trying to keep it real. Follow her at www.redboots.me and on Twitter @nixgilbertca. Scott Lambridis' debut novel, THE MANY RAYMOND DAYS, received the 2012 Dana Award. The novel, about a scientist who discovers the end of time, is seeking publication. Stories of his have appeared or are forthcoming in Slice, Painted Bride, Cafe Irreal, Flash Fiction Funny, New American Writing, and other journals. He recently completed his MFA from San Francisco State where he received the Miriam Ylvisaker Fellowship and three literary awards. Before that, he earned a degree in neurobiology, and co-founded Omnibucket.com through which he co-hosts the Action Fiction! performance series. More at scottlambridis.com. Heather Jackson is a YA novelist, television screenwriter, and small town fugitive. She escaped her rural roots for the big city of Toronto by attending Ryerson University’s Radio & Television Arts program and the Canadian Film Centre’s Prime Time Television Writing program, which led to a career penning television cartoons and teen dramas. Currently she is writing episodes of the animated horror-comedy CAMP LAKEBOTTOM, as well as writing a YA mystery thriller, PSYCHO SMART, and a YA dark fantasy, DEMONS DON'T DO LOVE. Neither are autobiographical. Mostly. 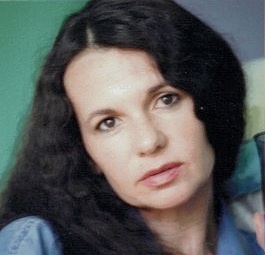 When she’s not writing books or screenplays, Heather blogs about writing craft and the writer’s life at heatherjacksonwrites.com. She is also pursuing the preposterous goal of becoming a gymnast at thirtysomething. Find her on Twitter @HeatherJacksonW. When not cycling or kayaking, Michael Brigati can be found at home in the woodlands of Virginia or the oceanfront of North Carolina’s Outer Banks. With only Alaska left to explore to complete his 50 state bucket list, this adventurer has travelled a long way from his birthplace in the Bronx, NYC. After receiving degrees in Psychology and Anthropology from Ricker College in Maine, he ventured south and pursued a graduate degree at Virginia State University in Counseling Psychology. After being introduced to the field of Emergency Services, he soon joined the Chesterfield County Fire and EMS Department. A decorated officer, Michael retired as a Senior Captain, nationally registered paramedic and master rescue diver. He also served as a Crisis counselor for emergency personnel and was selected as a seminar presenter at the World Congress for Incident Stress. Currently, Michael is a contributing writer to Emergency Scene Magazine and his novel, FIRE THIEVES, is set to debut in 2014. Follow him at Michaelbrigati.com and Twitter @MichaelBrigati. Jennifer Skutelsky was educated in South Africa and the US, where she earned an MFA in Creative Writing. An editor and writing coach, she is the author of two nonfiction books, and blogs at Musings of Disorientation. Her novel, GRAVE OF HUMMINGBIRDS, a gothic mystery set in the Andean highlands, won the Clark Gross Novel Award at San Francisco State University in 2011 and is a quarterfinalist in the Amazon Breakthrough Novel Award 2014. Also a ballet teacher and visual artist, Jennifer has a soft spot for elephants and rhinos and lives in San Francisco with her daughter, two cats and a dog named Fifi. Find her at www.jskutelsky.com and on Twitter at @jskutelsky.